Welcome to Cozy Rugs' Handmade Pillows. 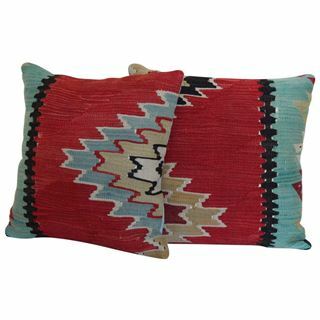 There's a reason why kilim pillows are becoming a favorite among interior designers; they're old but modern, eclectic yet trendy, and bold but somehow astonishingly adaptable. 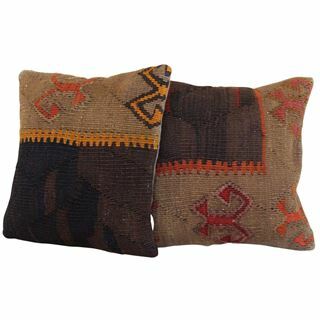 An instant way to create a Mediterranean authenticity and a worldly appeal to your space is to add kilim rug pillows. 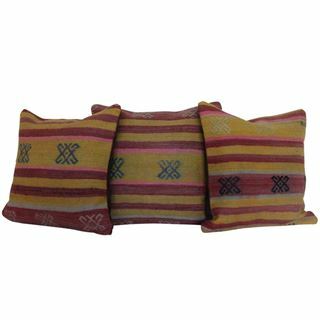 We pride ourselves on offering a wide selection of one of a kind wool kilim rug pillows handmade by skilled Turkish Artisans. 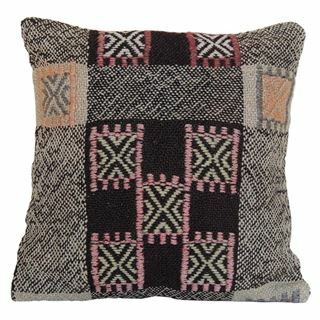 From unique and eclectic to vintage and bohemian, you can find the best selection on the web of handmade, one-of-a-kind, authentic kilim pillows in your choice of size and pattern. Sometimes, we find a beautiful kilim rug but due to its age, it is no longer suitable for the floor. 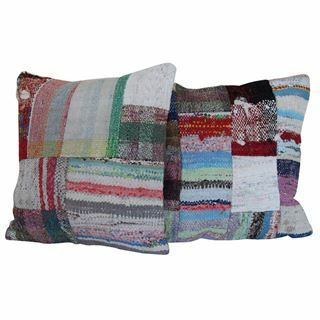 The best way to salvage this kilim rug is to repurpose it into pillowcases. 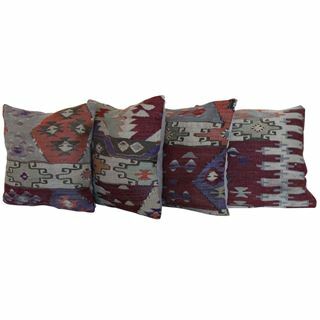 Working with hand picked kilim rugs from around Turkey, We repair, clean, cut and sew our pillows with passion and care in Chicago. 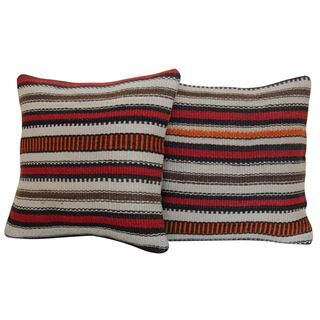 Shop Cozy Rugs for the best wool handmade kilim pillows. Enjoy free shipping from Chicago. 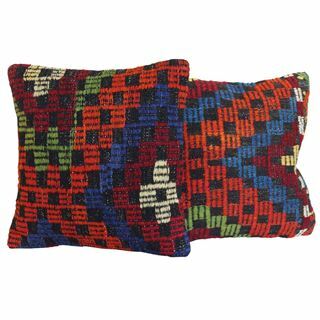 These pillows (made from the same flatweave, no-pile fabric as Turkish kilim rugs) help to bridge the gap between old and new in any space. 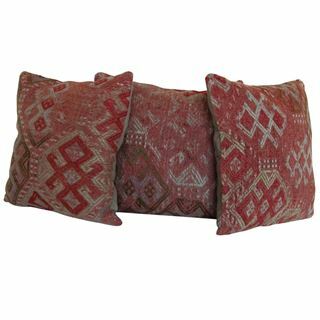 Turkish Vintage Pillow Covers are great for picking up accent colors in your decor to keep the space feeling connected. 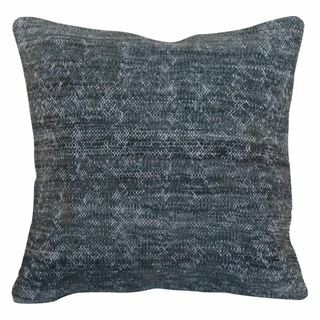 This Antique Distressed Gray Rug Pillow Covers is cut from a vintage and wool hand-knotted rug. 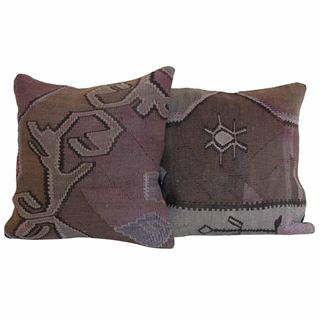 The best selection on the web of handmade, one-of-a-kind, decorative kilim pillows in your choice of size and pattern. 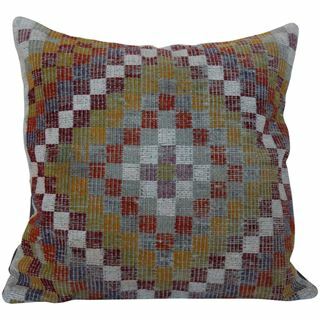 This pillow (made from the same flatweave, no-pile fabric as Turkish kilim rug) helps to bridge the gap between old and new in any space. 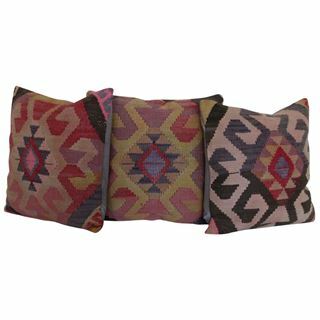 Easiest way to create a Bohemian decor for your home with Kilim Pillows! 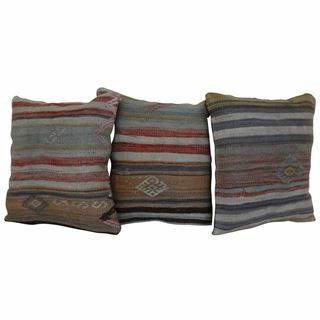 These Anatolian Kilim pillows from Turkey lends a worldly appeal to any space. 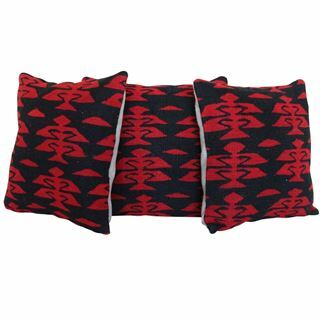 Kilim pillows give your room a Mediterranean flavor that feels like it’s fresh from a global bazaar. 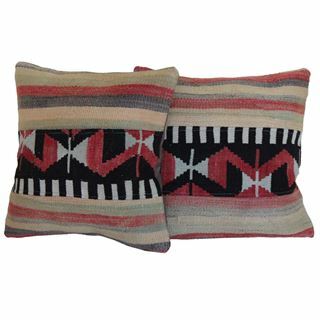 Decorative kilim pillows are great for picking up accent colors in your decor to keep the space feeling connected. 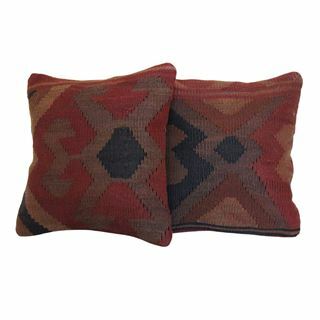 Multicolor kilim pillows are great for picking up accent colors in your decor to keep the space feeling connected. 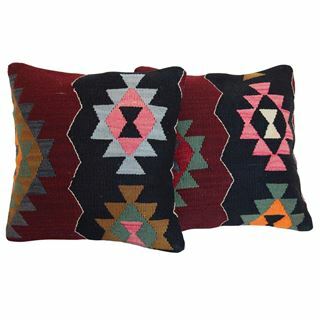 Multicolored kilim pillows are great for picking up accent colors in your decor to keep the space feeling connected. 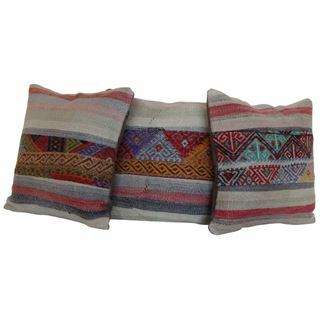 Esaiest way to create a Bohemian decor for your home with Kilim Pillows! 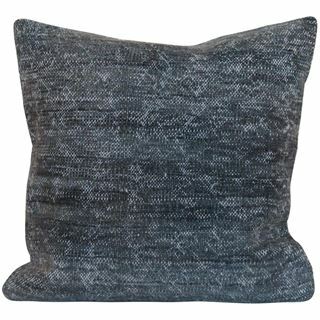 The soft, faded geometric pattern is just the right amount of color to add a little bit of luxe lumbar support to a neutral space. 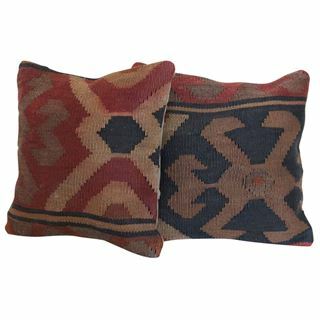 Kilim pillows lend a worldly appeal to any space. 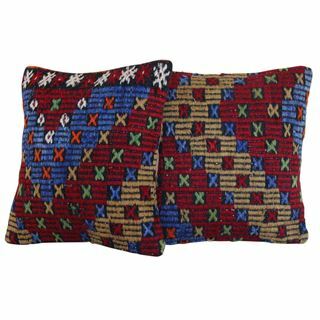 Throw pillows covered in vintage kilim fabric give your space an old-meets-new appeal. 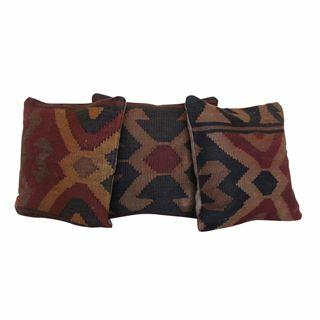 These pillows (made from the same flat weave, no-pile fabric as Turkish kilim rugs) help to bridge the gap between old and new in any space. 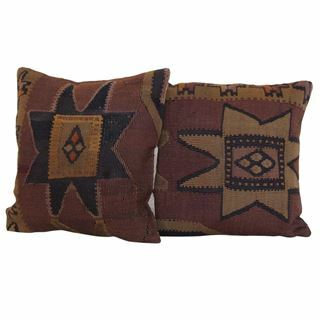 Throw pillows covered in vintage kilim fabric give your space an old-meets-new Bohemian appeal.